The Falcons have re-signed Justin Hardy to a 1-year deal worth $895,000. That includes $805,00 base pay and $90,000 guaranteed when you tie in his signing bonus. Considering what Hardy brings to the table, bringing the 5th year wide-out is a very smart and thrifty play. 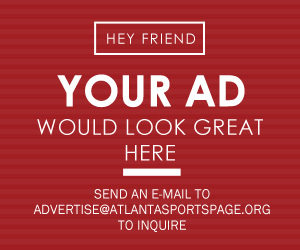 This move really sews up the WR position for Atlanta. He has underrated quickness, especially off the snap. This may seem like a small insignificant signing, but it will keep some regularity to the Falcon’s offense after an overhaul of changes at Offensive Coordinator, TE coach, and Special Teams Coordinator. 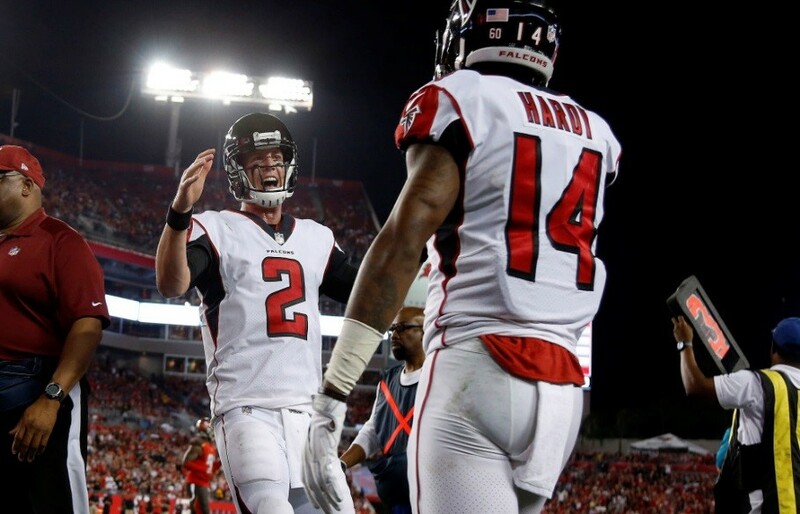 Hardy has been consistent for Matt Ryan at the very least, catching 76 passes for 751 yards since being drafted in 2015. To go along with that, he also has been a sneaky Red Zone target with 9 TDs. 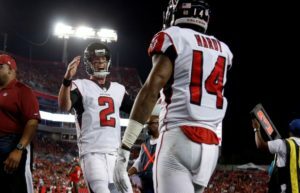 Hardy gives Matt Ryan a great target on 3rd down due to what many Falcon players and fans say are the best hands on the team. That’s quite the statement considering the sure pass catchers Julio and Sanu are lining up next to Hardy. With Ridley also in the mix, Hardy should get favorable one-on-one match-ups against opposing teams 2nd or 3rd DB’s. Hardy also has returned kickoffs and punts. 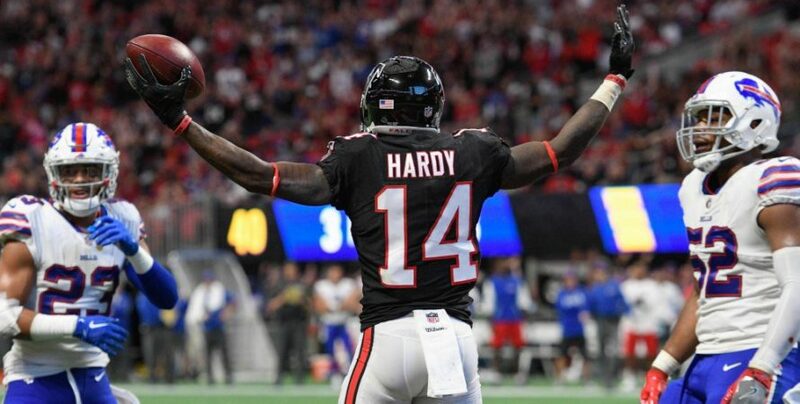 With the recent signing of Matt Bosher victim Kenjon Barner, Hardy will have some competition as the return man. Dan Quinn and Thomas Dimitroff have also mentioned there’s a chance the Falcons use a late draft pick on a return specialist. With Hardy only returning for 147 yards on 20 attempts last year, a return specialist may be a good move. With Marvin Hall moving on to join the Bears, Hardy’s 20.8% of snaps should move closer to 25% -30% barring a surprise WR signing or pick in the draft. Bringing back Hardy (WR), Paulsen (TE), Sambrailo (OT), along with the signings of Barner (RB), Stocker (TE), Carpenter (G) and Brown (G), the Falcons are close to set on offense. This opens things up for Dan Quinn to focus mostly on defense in the Draft. 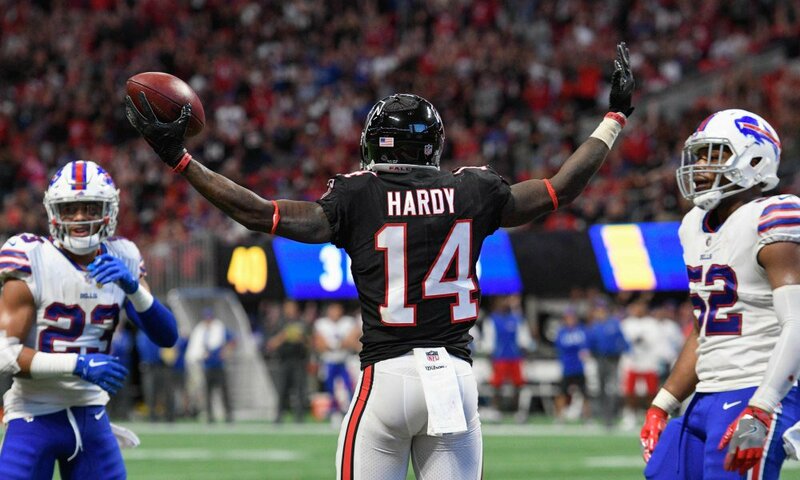 Hardy was a sensible signing that will help keep the Falcon’s offense continue to fly high.